Described as ‘India’s first literary popstar’ by world-renowned film director Shekhar Kapur, Amish’s unique combination of crackling story-telling and profound philosophies has made him an overnight publishing phenomenon, with spiritual guru Deepak Chopra hailing Amish’s books as ‘archetypal and stirring’. Amish’s Shiva Trilogy — The Immortals of Meluha (2010), The Secret of the Nagas (2011) and The Oath of the Vayuputras (2013) — has over 2.5 million copies in print with gross retail sales of over Rs 70 crores, making it the fastest selling book series in Indian history. His books have been translated into 15 Indian and International languages. 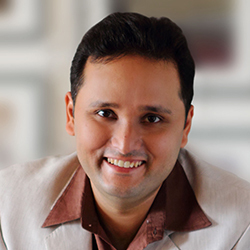 His new book, titled Scion of Ikshvaku, the first book of the Ram Chandra Series, released in June, 2015. Aditya runs the MTV business in India, the cultural home to the millennial generation. 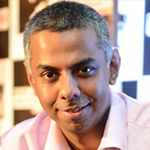 Under his leadership, MTV has become the favoured destination for the creative community and fans alike. Having grown up on a heavy dose of psychedelic rock, he has carried that influence into his workplace. He often quotes ‘Music is synonymous with creativity and that will always be the soul of MTV’. MTV has been driving a content revolution in India in many ways. Most recently, he has created a brand new extension, MTV Indies that reflects the rich subcultures at play in India. A marketer by education, Aditya has grown the MTV India franchise many fold by building connections between brands, content and viewers. MTV India has consistently been voted among the top three youth brands in the country, has been awarded the title of youth marketer of the year and digital media brand of the year in 2013. Prior to MTV, Aditya worked as the marketing manager for Coca-Cola India and was deeply involved in building brand partnerships with sport and entertainment. A master of the air guitar, on obsessive traveller and a budding yogi, he lives by the mantra – 18 till I Die. DC, as he is fondly known, started off his career working 5 years each for Asian Paints & Coca Cola. 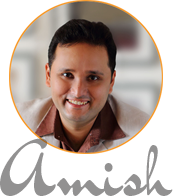 Before joining retail industry in 2006, he worked with Asian Paints as Branch Manager in Mumbai and Ahmedabad. His last assignment was as Regional Manager for Mumbai, the largest paints market in India. Subsequently, he joined Coca Cola, India and served Coca Cola in various capacities as General Manager with P&L responsibility for a business unit turnaround role, Director - Area Operations with P&L responsibilities for one of its largest market in India. Taking a National role as Director – Route to Market, Devendra was also chosen to work with a international bottler leading a new initiative for the country as a assignment. In 2006, he joined Reliance Retail as Concept Head Super Markets then moved as Vice President & Head of Merchandising & Format Marketing Reliance Fresh. In early 2009, he joined Future Group as Business Head – Private Brands with end to end responsibilities from Product development to launch. He moved on as President - Food and FMCG Category in 2011. In June 2013, he became the CEO of Food Bazaar, managing Food Bazaar and Private Brand business. In Jan 2015, DC became “Group President – Food FMCG, Brands” for the group. 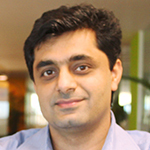 Devendra Chawla is an Engineer & MBA. He graduated from the Harvard Business School via its "Advanced Management Program” course. DC loves to dwell on “Consumer & Business Insights”. His articles and writings have been published in various leading newspapers such as Economic Times, Business Standard, Hindustan Times etc and magazines. Kaacon has experience of over 20 years in marketing, sales, movies & event productionand branded content in the Media and Entertainment industry. 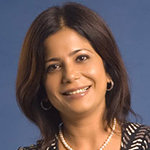 Her early years were in planning and buying of Media with some of India’s premier advertising agencies. Earlier Kaacon has worked with companies like JWT, Grey, Sony Entertainment Television, K Sera Sera Productions, MediaSys Solutions and Lintas Media Group. She is passionate about people and performance, the role of Media and Entertainment in the marketing mix and believes in leveraging the power of traditional and digital media for success. In addition, she champions a strong focus on customer delight and relationships. Kaacon has also designed the Media, Entertainment and Sports Marketing course at SPJain Institute of Marketing &Research and teaches the same as Visiting Professor. 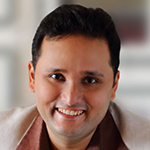 Naveen Kukreja is responsible for leading the overall marketing efforts at PolicyBazaar.com group ventures and strengthening the brand presence. 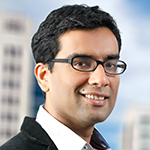 He also heads the expansion efforts for the company in the non insurance space – PaisaBazaar.com. He comes with a rich experience of nearly 15 years in the financial services sector, having worked with Capital One Bank in the UK and Citibank in India and most recently, as the Senior Vice President of Marketing and Strategy at Aviva Life Insurance. His instrumental formulation of strategies, strong financial acumen and expertise in analytics has won him applauds across many industries over the years . His most recent accomplishment being conferred the ‘Marketing Professional of the Year’ award at the prestigious CMO Asia Summit 2015. He is one of the most admired thought leaders in the financial services space and features regularly on consumer TV shows and in financial dailies. He is also a frequent speaker at key industry forums like Ad: Tech, AIMA, DMAi, IAMAI and at B-schools on subjects of marketing & leadership . 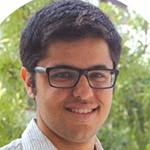 Naveen has studied engineering from Delhi College of Engineering and also holds a Post Graduate Diploma from IIM Calcutta. 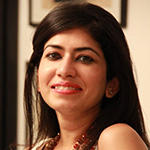 Swati Bhargava is the Co-Founder of CashKaro.com, India’s largest Cashback & Coupons website. She is one of the top women entrepreneurs in the country today and along with her husband & Co-Founder Rohan, has built CashKaro into one of the largest affiliates in India. At CashKaro she is spearheading the Marketing Team and is responsible for Business Development & Investor Relations among others including Media & Communication. CashKaro works with almost 1000+ ecommerce websites including top sites like Amazon.in, Flipkart, Paytm, Snapdeal, ebay etc. Users can get REAL CASHBACK when they shop at these sites via CashKaro. Along with this, CashKaro also offers free coupons, price comparison and product discovery on over 8 million products from top retailers. Swati is an alumnus of the London School of Economics and worked at Goldman Sachs in London for 5 years before starting their UK Cashback business Pouring Pounds and raising investment for CashKaro.com. Swati is also one of the top social media influencers in India.